For years people have enjoyed the excitement of manned balloons flying over the countryside. 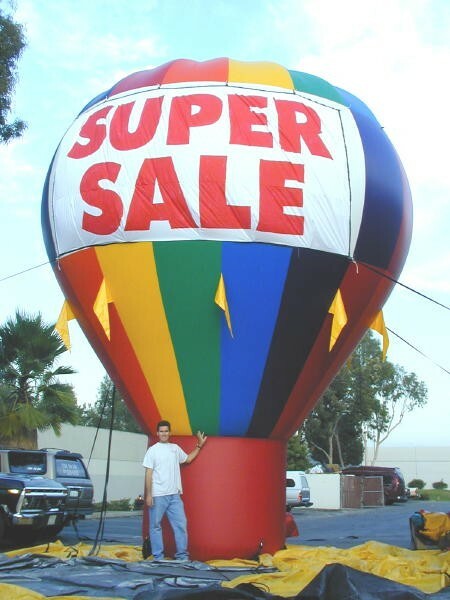 Now, these attention getting, message-sending Rooftop Inflatable Advertising Balloons are available to local retailers, corporations, and special events. 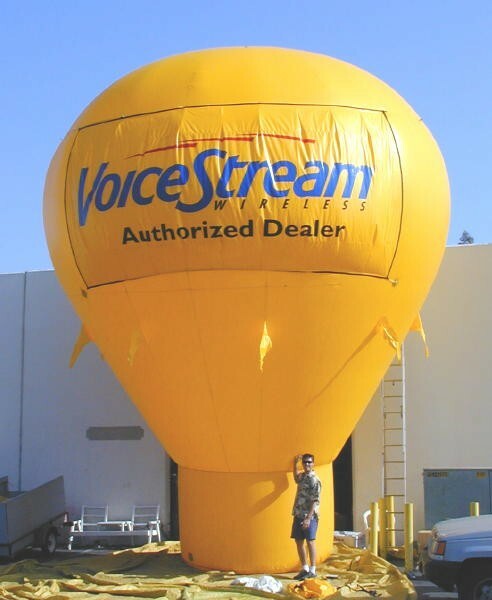 At first it may seem like an unusual way to advertise but USA Outdoor Media's durable heavy-duty vinyl, easy-to-use, Roof-Top Inflatable Advertising Balloons create an unbeatable way to increase your walk-in store traffic, and store sales, at a fraction of traditional advertising costs. Tie-down to Roof-Top, Parking Lot , or off-site Special Event. 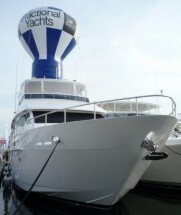 Removeable Banner System allows for new Promotional Sales Messages as needed. 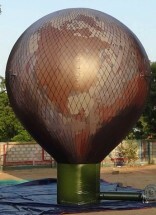 Heavy-Duty Vinyl Construction with Full Warranty on Advertising Balloons. Will outperform Newspaper, TV, Radio, and Direct-Mail. Advertising Balloons are the Best Marketing Investment your company will ever make! 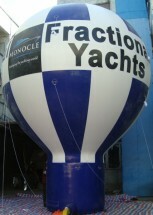 Have you ever seen a giant balloon advertising a sporting event, concert, or retail location? Advertising Balloons are fantastic tools for raising awareness of your latest sale or special event, making them the perfect choice for your business. 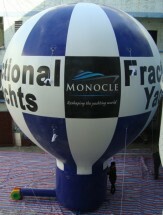 Our inflatable advertising balloons easily tie down to your building’s rooftop area or parking lot. With simple removable banners, they’re a great choice that can be used for a huge range of special events, sales and discount offers. From outperforming direct mail, TV advertising and other widely used marketing options to creating an event around your business’s latest sale or event, there are numerous ways our advertising balloons can help your business benefit. Promote your annual or seasonal sale to a huge audience of passersby that travel close to your store. 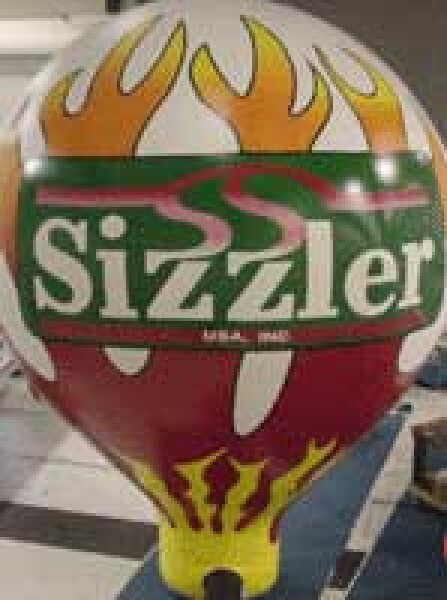 Inflatable advertising balloons are eye-catching and ideal for attracting attention in your retail store or event’s area. Communicate your store’s marketing message or value proposition with ease in a quick and simple way. 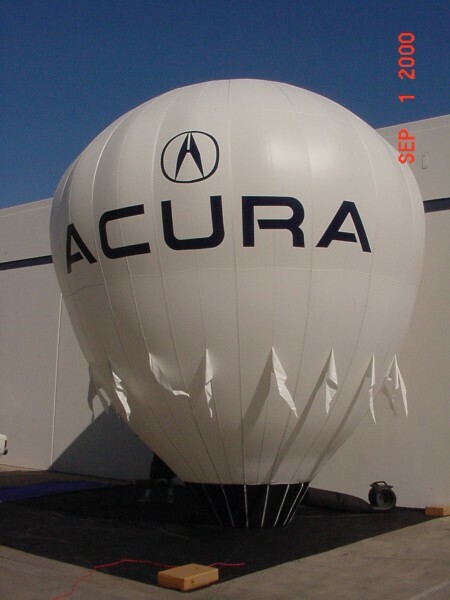 Our heavy-duty advertising balloons are designed to work great in a huge range of weather conditions and settings. There’s a reason both marketers and the public like inflatable advertising balloons: they’re unique, interesting, and very effective. Advertising Balloons outperform TV, radio, newspaper advertising and direct mail marketing when it comes to ROI. Better yet, advertising balloons work incredible well alongside other forms of direct marketing, such as direct mail or print advertising. 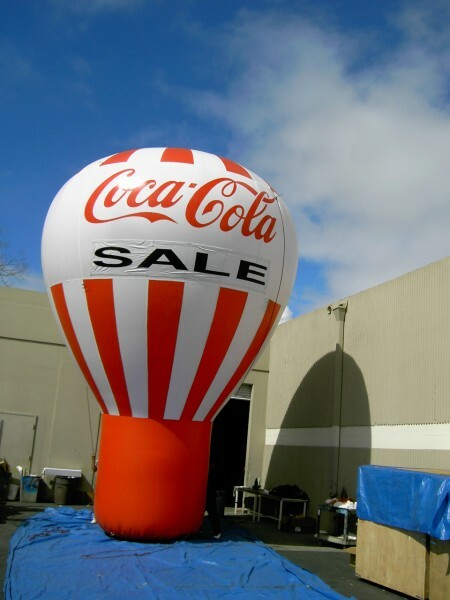 Build awareness with a print or TV campaign before using an inflatable advertising balloon to close the deal. Advertising balloons are different, interesting and highly memorable. Each and every time a prospective customer passes by your retail store, restaurant or location and notices an advertising balloon, your business’s brand awareness increases. The key to effective marketing is being noticed. Our inflatable advertising balloons offer a creative, interesting and highly effective way to communicate your message and ensure your target audience notices your business. From promoting your upcoming sale to raising awareness for a special event, there are few marketing goals that advertising balloons can’t help you achieve. Give your business a powerful new marketing tool today with our inflatable advertising balloons.